The Hawaiian luau is one of the most popular visitor activities for a reason: Where else can you feast on kalua pork, poi, and lau lau while watching hula and sipping on a mai tai?! But, it’s a tough business to run, with lots of competition and regulations. And, for one well-established luau on Oahu, the business-end of things has finally become too much — the state plans to shut down the Big Kahuna Luau on Tantalus. The luau is a public-private partnership between the company, Discovering Hawaii Tours, Inc., and the state of Hawaii, with 8 percent of the luau’s earnings going to state coffers (amounting to about $80,000 a month). But, according to Hawaii News Now, after more than two years in operation, the state Department of Land and Natural Resources is ending the Big Kahuna Luau at the Nutridge Estate, the site of Hawaii’s first macadamia nut plantation. Why? The news station reports that the state is revoking the company’s permit at the end of June after repeatedly warning Discovering Hawaii Tours, Inc. to correct numerous violations. “We were really surprised, because we weren’t expecting to have to leave,” D’Manti Diamond of Discovering Hawaii Tours, Inc. told HNN. Luau traditionally have an "emcee" who guides the program for guests and introduces the hula dancers. 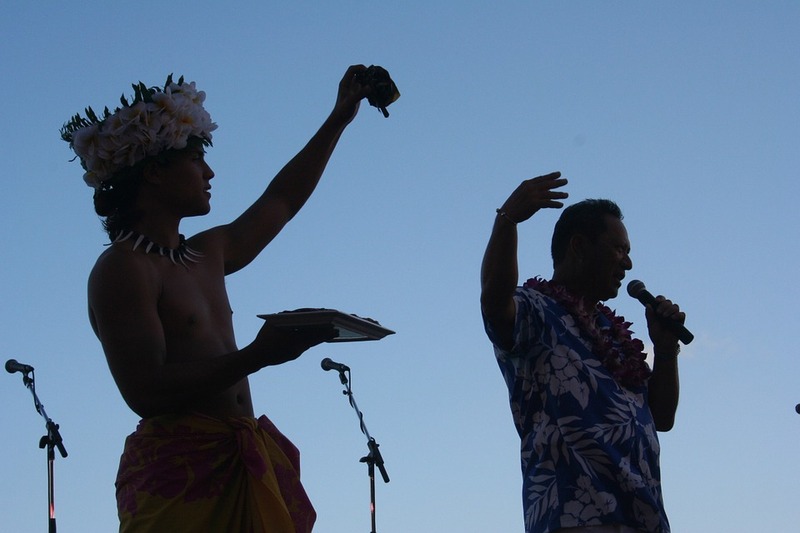 Here, a hula dancer holds up traditional luau food, so guests can know what to expect. According to HNN, the company first got permission to use the property in 2013. But, in late 2015, the state ordered the business to correct a number of violations, including the restoration of an historic tool shed that had been converted into a bar. There were unauthorized stones and concrete installed, after the state says crowds turned the lawn into a muddy mess. And, the violations include unauthorized sinks that were installed and illegal discharge of grey water. There were also disputes over parking and noise complaints from neighbors. “I really appreciate everything the Big Kahuna Luau is doing for our Hawaiian culture it’s sad the state is taking this away,” Lihau Keliikuli-Peters, an employee at the luau, told the news station. 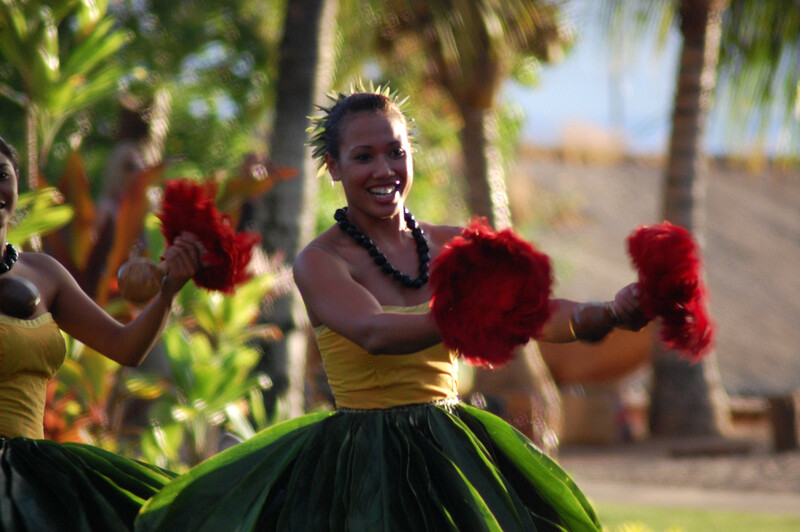 At the Old Lahaina Luau on Maui, a hula dancer entertains guests. “We had to build the stage, the tresses, lighting, the sound and get the dining area ready to receive guests,” said Diamond. After spending more than $1 million establishing operations, Diamond says they’re in the process of fixing the problems and is asking the state to reconsider. “What I would like to see is if we were just given a little more time so that we don’t have to have all these people without work, and we can properly find another place, that’s what we would need,” Diamond told HNN. In fact, the company and the state officials plan to meet on Monday to discuss possible options. So, what’s a visitor to do with one less luau on Oahu to consider? Time to research the available luau venues and decide which best suits your needs. The agents at Hawaii Aloha Travel can help book a reservation at Chief’s Luau at Sea Life Park, one of the most popular luau on Oahu. Bottom line? It’s always a good idea to make sure the Hawaii activity you choose is following the rules and sticking to state regulations. And, choose reputable and compliant companies like Hawaii Aloha Travel, so you knjow the activity you choose is safe and reliable.